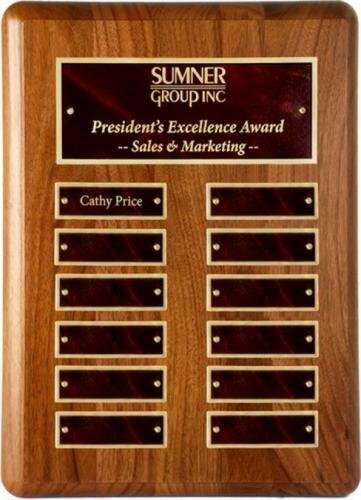 American Walnut 12 plate Perpetual Plaque with radius corners. Hand Finished. Metal Plate colors are Blue, Black, Green, Sienna.